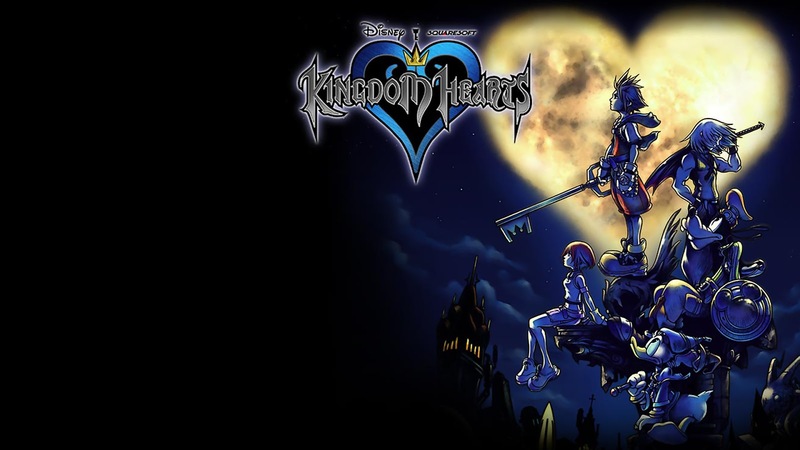 Disney and Square Enix (Square Soft as it was then known) 'Kingdom Hearts' is probably my favourite game series of all time. Don't get me wrong; I can't stand chain of memories, I think the DS was the wrong device for 358/2, and I haven’t played birth by sleep, 3D: Dream Drop Distance or Coded (hadn't even heard of that one when I started this of 52). But Kingdom Hearts One, Kingdom hearts two and hopefully Kingdom Hearts 3 when it eventually (if ever) comes out were amazing, and unlike anything I'd played before. If I regret anything in my life, it's posting my copies to myself when I moved from Scotland back to London. the package was stolen and I've been unable to play them since. It wasn't my fault, but I can't help but feel that if I'd brought them in my suitcase (there was room!) I would still have them. If not for that fateful event they would remain in my collection of old games I can never sell (a collection that includes; Star Wars: Republic commando [xbox], both Star Wars Knights of the Old Republic games [xbox], Skies of Arcadia [Game Cube], Tales of Symphonia [Game Cube] and Ultimate Spiderman [Game Cube]). The game follows Sora, a young boy from a small island as he is thrown into a war between forces he didn't even know existed while he looks for his friends Riku and Kairi. He is joined by Donald Duck and Goofy who are searching for their king Mickey Mouse and a cast of Disney characters to help in their journey. Gifted with the mighty Keyblade, Sora must battle the heartless through world after world to find his friends and stop the leader of the Heartless, Ansem. As the game continues it shows that his friend Riku has turned to the side of the Heartless. The game's story is an emotional rollercoaster as you try to help Riku, save Kairi and stop Ansem and the heartless from snuffing out the universe. Great game, but they've taken too long re-releasing it and releasing the sequel.